In the high-octane sequel to Boy Soldier, 17-year-old Danny and his grandfather, ex-SAS explosives expert Fergus, are on the run again, with their cover in southern Spain blown. Encouraged by the mysterious Deveraux, they return to London to confront their ruthless enemy in MI6, Fincham. But a teenage suicide bomber has brought death and destruction to the heart of Westminster. And there seem to be plenty of other willing martyrs. As the trap is sprung, Danny and Fergus have to break into Northwood, and it is up to computer whiz Elena to trawl the Deep Web to help them find the information they need to put a stop to the nightmare. 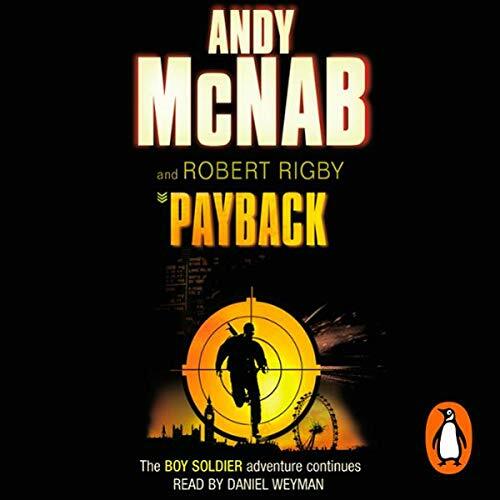 The second book in the Boy Soldier sequence is another explosive, fast-moving and thrilling adventure, packed with authentic detail from Andy McNab's SAS expertise. Click here to see all the titles in our Andy McNab collection.